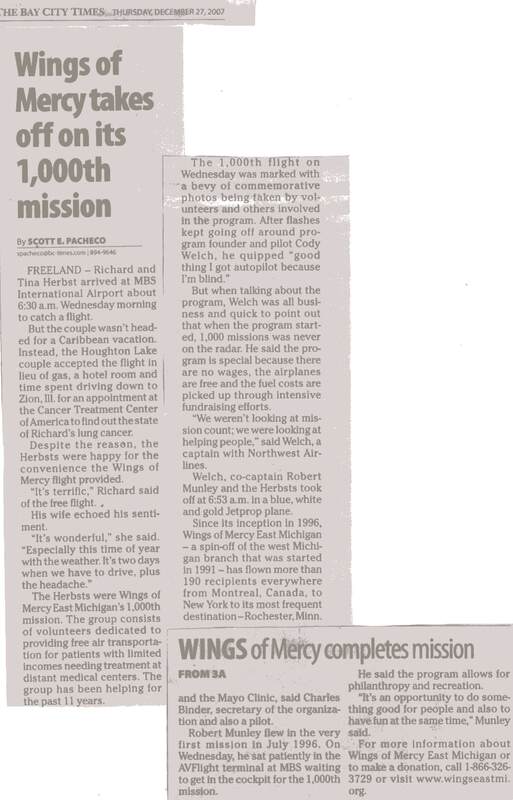 Wings of Mercy, East Michigan literally flew past a milestone last week. 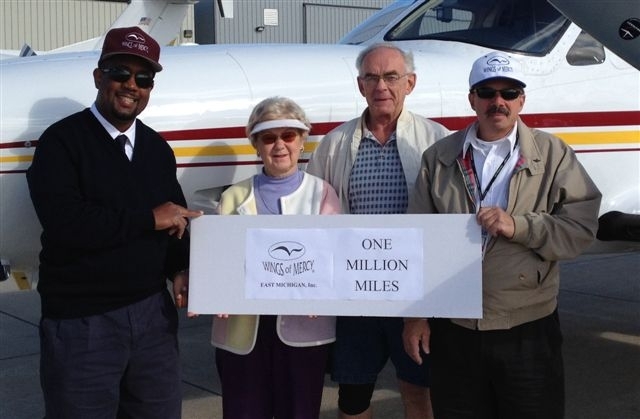 The all-volunteer pilot organization which flies needy medical patients to distant medical facilities logged its millionth mile of service to the people of East Michigan. 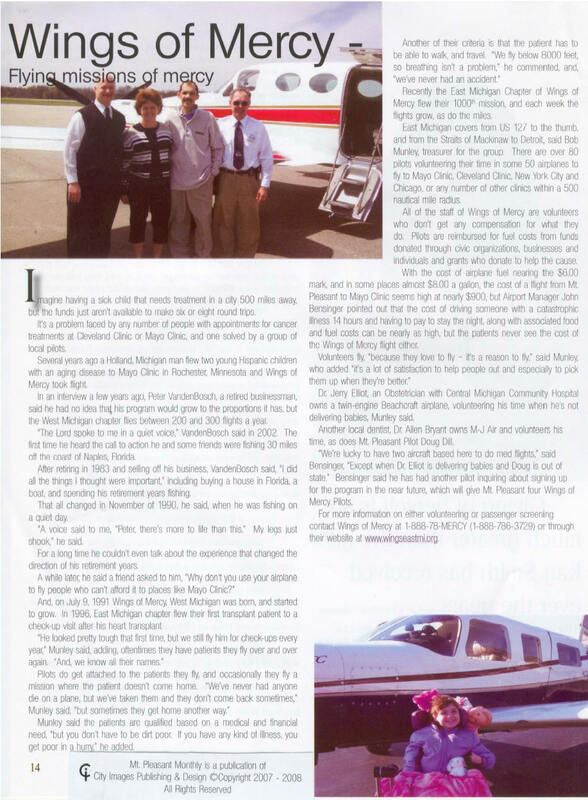 Pilots Elliott Zeltzer and Kevin Gilbert flew Bay City resident Joan Helminiak to Mayo Clinic from MBS International for treatment, on the way crossing the million mile threshold. It was the 1535th flight for the organization. 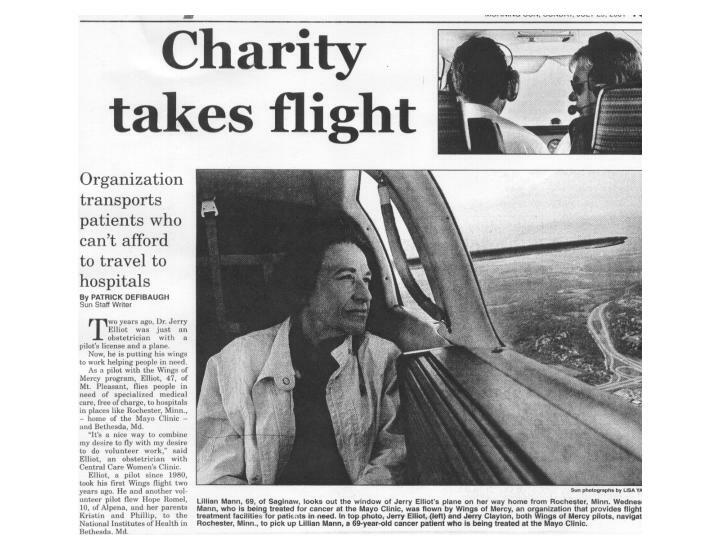 Since its founding in 1996, more than 260 Wings of Mercy, East Michigan volunteer pilots have flown over 240 medical patients using, more than 100 different aircraft. 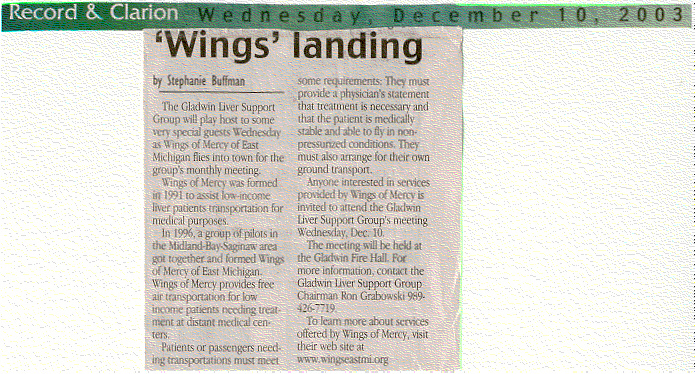 Wings of Mercy, East Michigan is an all volunteer Section 501(c) (3) charity serving all of Eastern Michigan. More information can be found at www.wingseastmi.org or by calling toll free (877) 32-MERCY, (877) 326-3729. 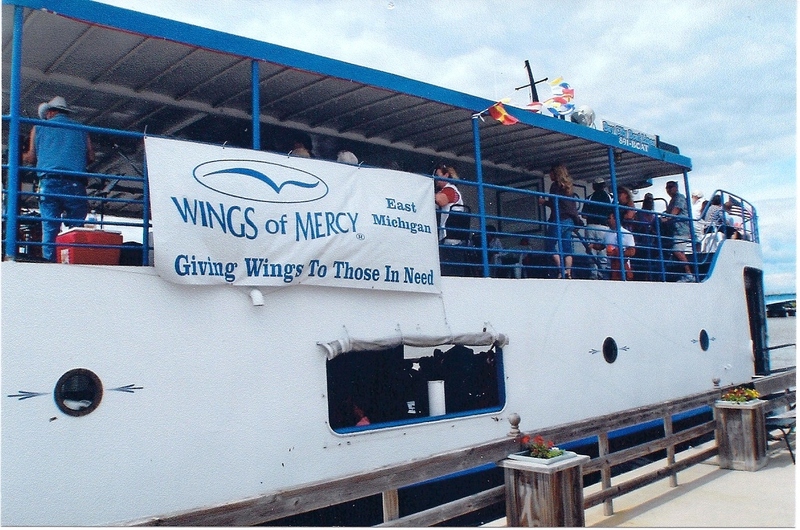 On a lovely early August evening, free from the rain storms and high winds which had plagued the area in recent days, the Bay City based cruise boat Princess Wenona hosted a near capacity crowd for an excursion down the Saginaw River and into Saginaw Bay, all to benefit Wings of Mercy, East Michigan. Those aboard enjoyed rousing music, good food and a narrated history of Bay City nautical landmarks, sponsored by the Bay City Fraternal Order of Eagles Aerie 1010. Dave Osbourn, one of the organizers, said that Wings of Mercy is one of the Eagle’s favorite benefit charities, but that he was unsure of the attendance, especially in light of the recent weather. The response, he said, was most heartening, and the Aerie was pleased to turn over the entire proceeds of the event to Wings of Mercy, East Michigan. In accepting the donation, Wings of Mercy, East Michigan Secretary Charles Binder said this generosity would allow transport of a goodly number of patients to facilities like Mayo Clinic or Cleveland Clinic. Wings President Cody Welch personally thanked the Eagles Board of Directors for their successful efforts. 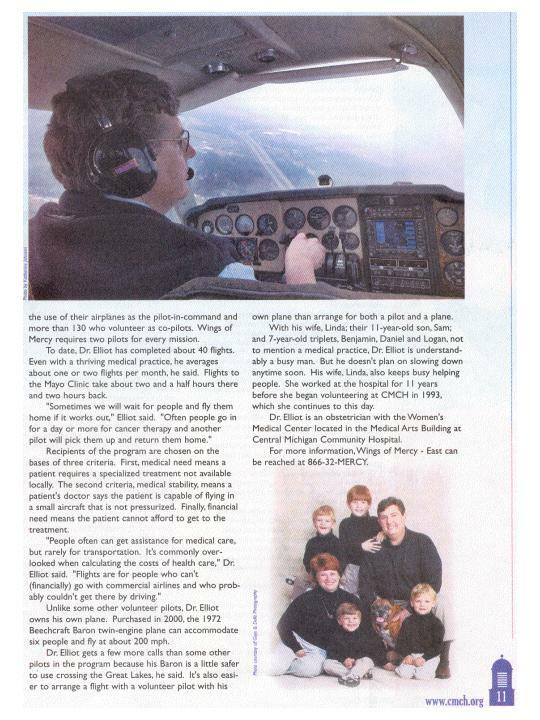 Since its founding in 1996, more than 260 Wings of Mercy, East Michigan volunteer pilots have flown over 240 medical patients using, more than 100 different aircraft. 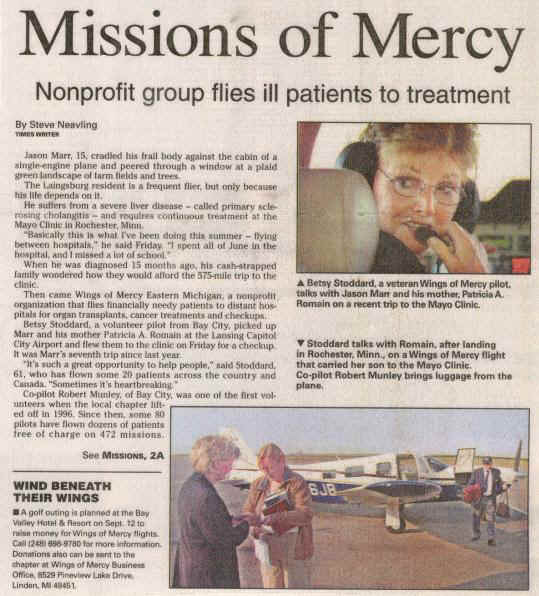 Wings of Mercy, East Michigan is an all-volunteer Section 501(c) (3) charity serving all of Eastern Michigan. 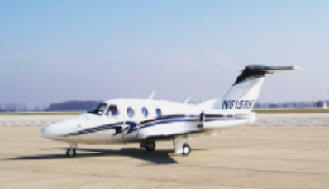 More information can be found at www.wingseastmi.org or by calling toll free (877) 32-MERCY, (877) 326-3729. 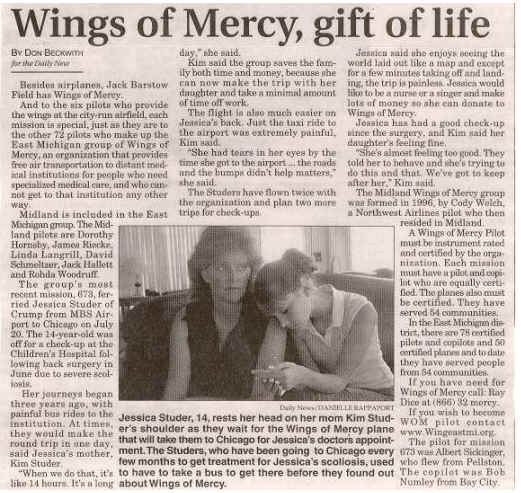 November 8th was an historic day for the East Michigan Chapter of Wings of Mercy. 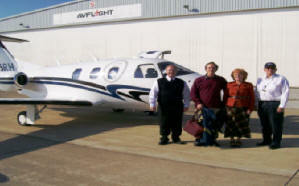 Pilot Richard Heinrich and Second Pilot Blair McKendrick flew Janet and her Husband to Rochester, MN's Mayo Clinic in an EC-25 Eclipse Very Light Jet. 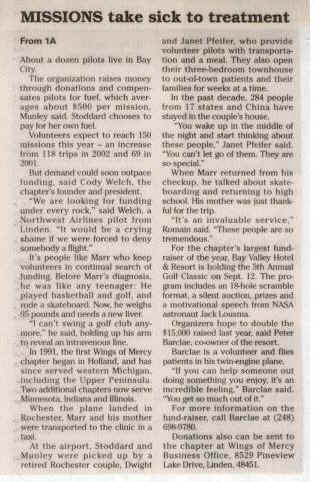 This marked the first use a jet aircraft by our Chapter. Our partner organization Wings of Mercy West Michigan produced this short video in which numerous patients thank the organization. 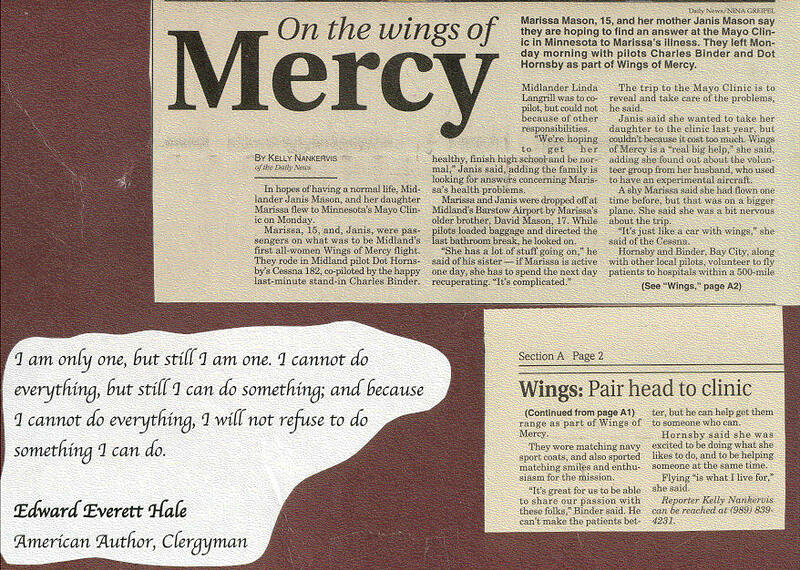 A slide show of our news clippings is below. Click on the viewing window to see the clippings. Pause the slideshow to read an article, or select the link to a specific featured "Top Story" article from the listings below the slideshow. A general interest article on our program. Learn more about the background of our 1,000th mission! Campbell's Commentary: "What exactly is 'Wings of Mercy'"
Do you see a security warning message like this at the top of your Internet Explorer window? If so, then please click on the message and select Allow Blocked Content... to view the media files on this page.